In the game, there are numerous missions that you have to do. And believe us, Mobile Strike always has something to do. The title offers you recommended missions, which you should best treat and deal with. The completion of the missions that affect the base will take up most of your time. But do not forget to do the VIP, Clan and Day Missions as well. In the beginning, you will mostly have to build things and buildings, but do not forget to explore things and level up your troops. If you have completed a mission, you must go to the mission menu. Only there you can pick up your reward. Sometimes you forget to pick up your reward right away. However, this is not bad and can sometimes even be beneficial to you. If you are attacked by an enemy, he can only grab the loot that you already have and have picked you up from the mission overview. If you do not get your reward until you know that you need it right now, for example, to build a building, then no opponent can steal it and you do not have to start from scratch to collect it. 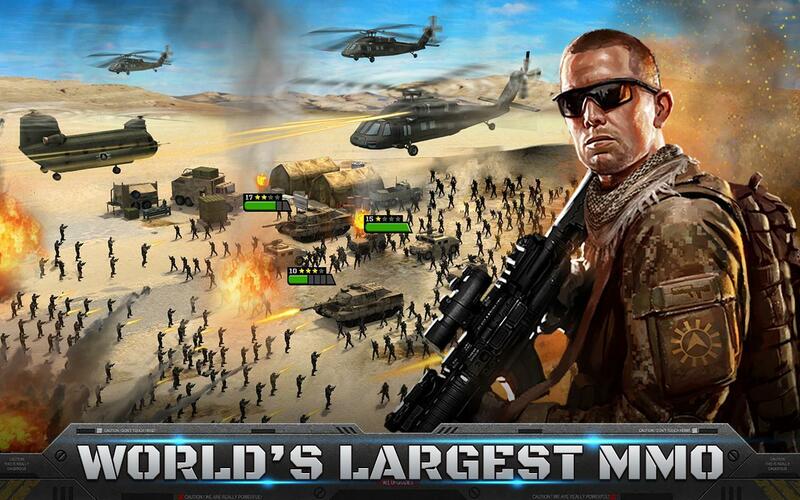 While in other strategy games you are limited to setting up many resource buildings in your base, Mobile Strike gives you the power to build as many buildings as you want. That's what you should do. Set up as many resource buildings as you can afford. However, you should be careful to set up a balanced number of buildings. In other words, it is best to always build the same number of each type of building. In addition, you should always pile up your warehouse so that you can safely store your resources there. Incidentally, you will also receive resources if you have successfully attacked an enemy base. However, you should plan such an attack well in advance. You should also look for abandoned bases. Again and again, players leave the game and never come back. Such a base is very easy to take and you can make a good profit from it. Like other titles, Mobile Strike is much more fun to play with. Therefore, you should shoot together into an alliance with other players. There you can not only talk to others about different strategies, but you also get a gold bonus for free. In addition, joining an alliance brings you new missions you can do. Another benefit of an alliance is that anyone in an alliance gets something if one of the alliance members makes an in-app purchase. As described earlier, if you join a Mobile Strike clan you will receive free gold. But you can also get free gold from your friends and alliance members. For that, you and she must have unlocked the goldmine. Unlock the Goldmine by connecting your Mobile Strike Account to Facebook. The Goldmine gives you the opportunity to send free gold to your friends and in return receive free gold from them. Tip 5: Patience is a virtue at Mobile Strike! As is often the case with many free-2-play games, you also need to be patient with Mobile Strike. Some actions in the game take their time, so you should refrain from accelerating tasks unless you can do otherwise. Therefore, log into the game for short periods of time several times a day and do not be annoyed that everything takes so long. Until you look over the next time in the game, the task is done.